in higher margin services to boost growth. Chief financial officer Alan Ralph anticipates strong organic growth, particularly in the Sharp packaging division which is benefiting from good demand in the US for serialisation services. Shares in the firm have rallied by 25% this year and by 45% since we said to buy just under a year ago. We think the stock has further to run. 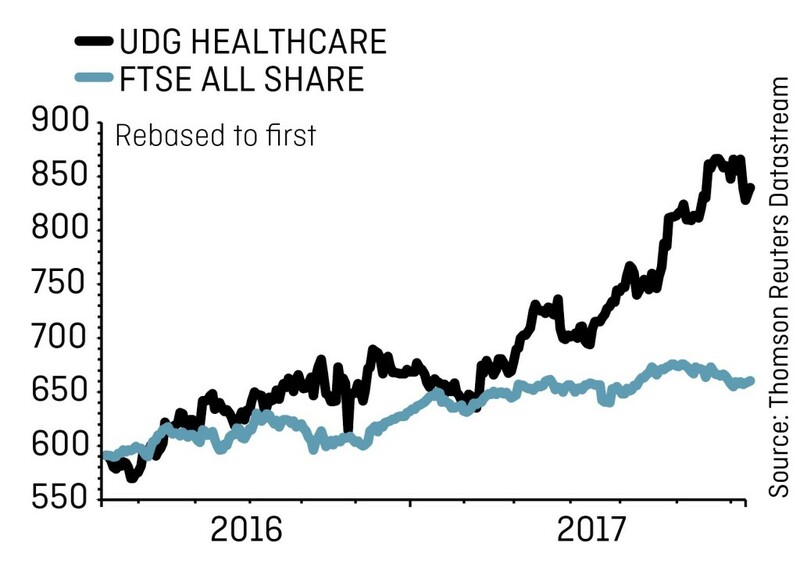 UDG is capitalising on rising drug sales in the developed world and further outsourcing of service work by larger companies. 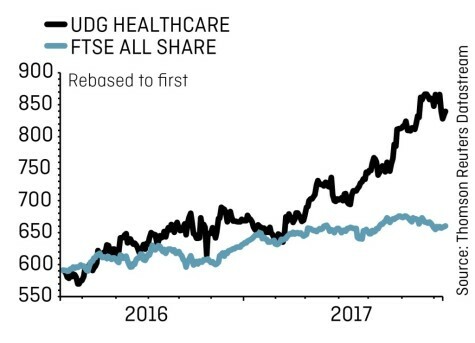 Its United Drug division was sold for €407.5m in 2015, providing funds to make acquisitions, particularly in the fragmented healthcare communications sector. In October 2016, the firm acquired STEM Marketing for £84m (€94.8m) to help pharmaceutical companies communicate the benefits of their drugs for clinical trials. This week (12 July 2017) UDG announced the acquisition of US management consultant Vynamic in a deal worth up to $32m. Liberum analyst Graham Doyle said in May this year that UDG should beat its full year earnings per share guidance of 15% to 18% growth in the year to 30 September 2017. Doyle has a 930p price target for the stock.